From September 29, 2016 to January 8, 2017, the Mauritshuis presents At Home in Holland: Vermeer and his Contemporaries from the British Royal Collection. 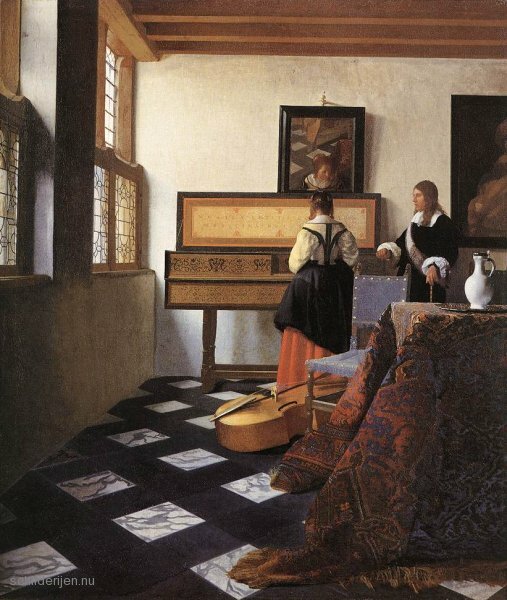 The highlight of the exhibition is the Lady at the Virginals with a Gentleman (‘The Music Lesson’) by Johannes Vermeer. ‘The Music Lesson’ is one of 36 surviving and very rare pieces by Johannes Vermeer. This painting dates from 1660-1662 and shows a lady and a gentleman beside a virginal. Above the instrument hangs a mirror, in which we see the reflection of the foot of Vermeer’s easel. 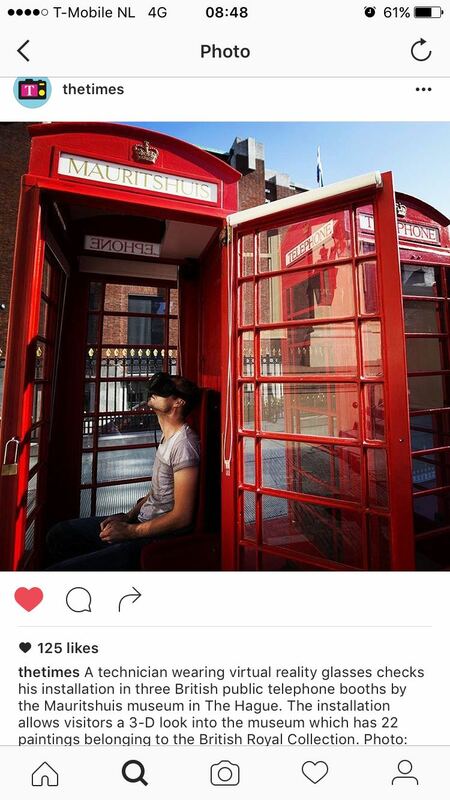 Via the virtual reality application VR_MEER, visitors can make a trip to the famous painting and discover the various stories displayed in the painting. 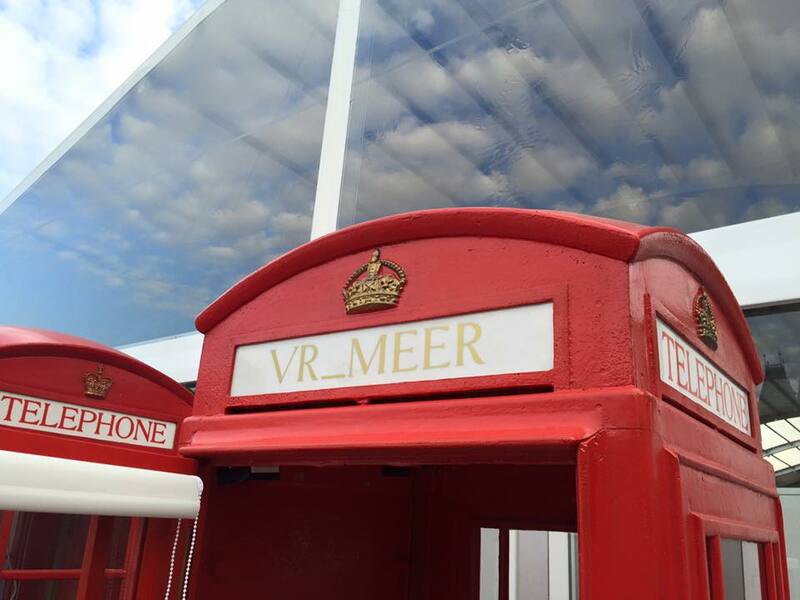 To make for a memorable trip, three original English telephone booths were placed on the outside of the Mauritshuis, which were converted into single-person VR cinemas. 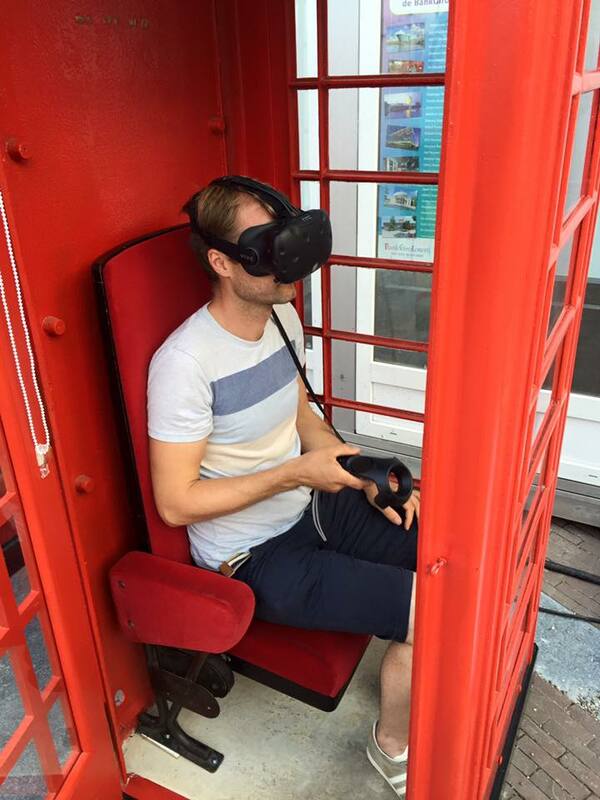 In the context of the exhibition ‘Home in Holland: Vermeer and his Contemporaries from the British Royal Collection’, Mauritshuis presents the VR Experience ‘VR_MEER’ in which you make a virtual trip to the painting ‘De Muziekles’.